The original Kenyan issue ASLP 927. "Ladies and Gentlemen lets go disco. 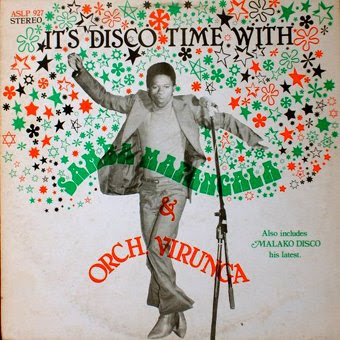 Its disco time with Virunga!" The 1984 Earthworks re-issue. "The first night in town I found the Starlight Club, on stage I found VIRUNGA. It was wonderful to ask my favourite band if they did requests. They said 'yes' and I requested the contents of this album." The 1990 CD Earthworks issue that added two additional tracks. 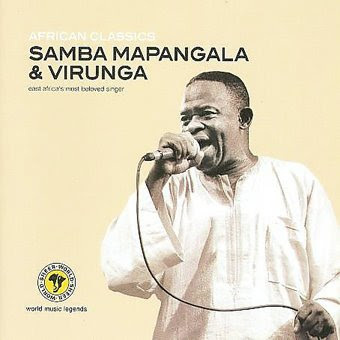 The Sheer reissue that includes two tracks from the seminal "Its Disco Time"
EDIT (27 Aug 08): Yet another cover was considered for the UK/European release of African Classics. Thank goodness sense has prevailed. Reissued a number of times in different clothing but the music remains timeless and classic for me. The busy bubbling bass, the clear separation of guitars doing minimal work, the searing vocals and the horns lending their percussive impetus. And on the original LP four very strong compositions. Now Sheer have dug deep with the help of Doug Paterson to find more Virunga tunes from the same classic period as "Its Disco Time". If I had a time machine I would be heading to the Starlight to listen to this band over and over again. One of the great albums of all time. Couldn't possibly recommend this highly enough. On behalf of Samba: Thank you Matt! 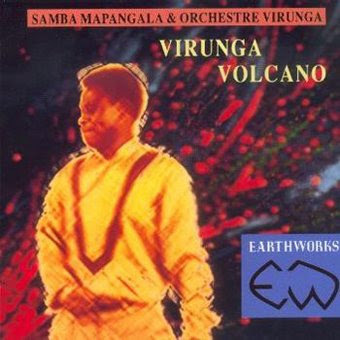 Also to let people know many of his CDs are available for purchase or download on CDBaby.com, including an authorized download of Virunga Volcano. All sales proceeds go directly to the artist. I have been informed by the label, Sheer Sounds, that the last cd cover on display (with the hat) will NOT be used for the European release. Matt, if you would take it off this posting, it will alleviate potential confusion. Thanks. Music festival - he was fantastic, and a great showman too, bringing members of the crowd up on stage and dancing along side them. show I asked him to sign my pirated CDr of Malako Disco from Melodica and he burst out laughing. Siama was on guitar and was great to hear as well. It would have been lovely if he had had some brass, but I can understand trying to keep the contingent smaller. somewhat unsavory reputation. I spoke to one of my Kenyan friends who said she rarely sees that many East Africans at a public event in town (there's not a huge commuity here). He also played a more formal show at Museum of Contemporary Art, which i was unable to attend, I'm curious to see how that went.